This World Refugee Day, there are more than 60 million people around the world who are internally displaced, seeking asylum, or living as refugees in other countries. The United Nations has described the Syrian crisis, which has displaced approximately half of the country’s population, as the biggest humanitarian emergency of our era. Your Best Pathway to Health, a free clinic that provides medical, dental, vision care and support services including radiology, laboratory and pharmacy services, plus preventive medicine, is coming to Beckley, W.Va. Volunteers are still needed. Beth Michaels, editor of the Columbia Union Visitor, who served her Lord and the Seventh-day Adventist Church with distinction and dedication, passed away June 9 after a lengthy battle with cancer. She was 44. Michaels, who served at the union for 10 years, was named editor and associate communication director in 2014. Read more here. It is with deep sadness that we announce the passing of Beth Michaels, editor of the Columbia Union Visitor. Michaels, who served her Lord and the Seventh-day Adventist Church with distinction and dedication, passed away June 9 after a lengthy battle with cancer. She was 44. Michaels, who served at the union for 10 years, was named editor and associate communication director in 2014. A group of 18 pastors and lay members recently conducted evangelistic meetings in Cuba. They held meetings in 11 churches in Pinar del Río, an area with extreme poverty, food scarcity and a typical monthly salary equivalent to about $25. “Our pastors are enthusiastic about their meetings and the congregations were very receptive,” says Rick Remmers, conference president. 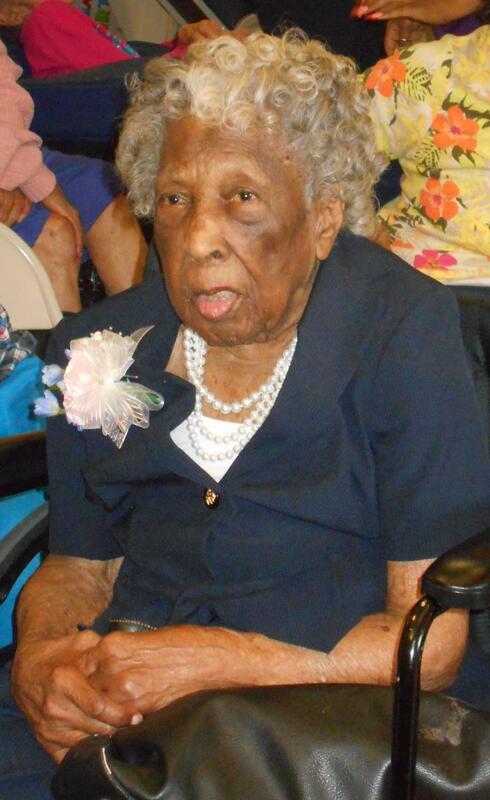 Violet Greene, a longtime Allegheny West Conference member, recently turned 110 years old. Greene celebrated her June 4 birthday at the Hyde Park Health Center in Cincinnati where she resides. Tara Groves, activities director at the center, says that she baked bread every week until she turned 100 years old. She added, "Violet is very spiritual and believes that God has blessed her with long life because she honored her mother and father." Can’t make it to camp meeting this year? Several of our local events will be livestreamed. You can also watch archives from past camp meetings. Visit the North American Division's camp meeting schedule of livestreams around North America: http://www.nadadventist.org/article/583/calendar/camp-meeting-schedule. Funeral plans have been set for Elder Charles D. Brooks, who succumbed to pancreatic cancer on Sunday. He was 85. The funeral will be held June 12 at Sligo church in Takoma Park, Md. The viewing will take place 11:30 a.m. - 1 p.m. The funeral starts at 1 p.m.
Charles D. Brooks, one of the foremost Seventh-day Adventist evangelists of the 20th century, succumbed to pancreatic cancer on Sunday. He was 85. Brooks, better known as C.D. Brooks, led a 60-year ministry that resulted in more than 15,000 baptisms on six continents and was known for its innovative methods of embracing new media to spread the gospel, including through the Breath of Life television ministry, where Brooks served as founding speaker for 23 years. JJ Chen, a 10-year-old boy who attends Chesapeake Conference’s Spencerville church in Silver Spring, Md., recently advanced to the Scripps National Spelling Bee finals in Oxon Hill, Md. He tied for 22nd place at the event.